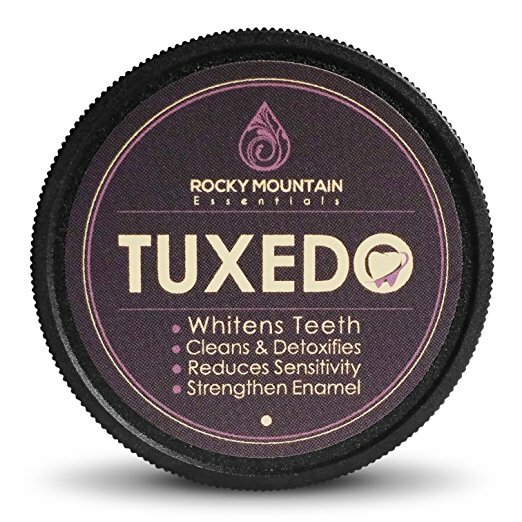 Rocky Mountain Essentials produces one of the best products you can buy for your teeth. This product is in powder form, but it will clean, heal and whiten your teeth much better than any other toothpaste in paste form. Somehow I missed this product until now, but I found it and I’m bringing it to you. 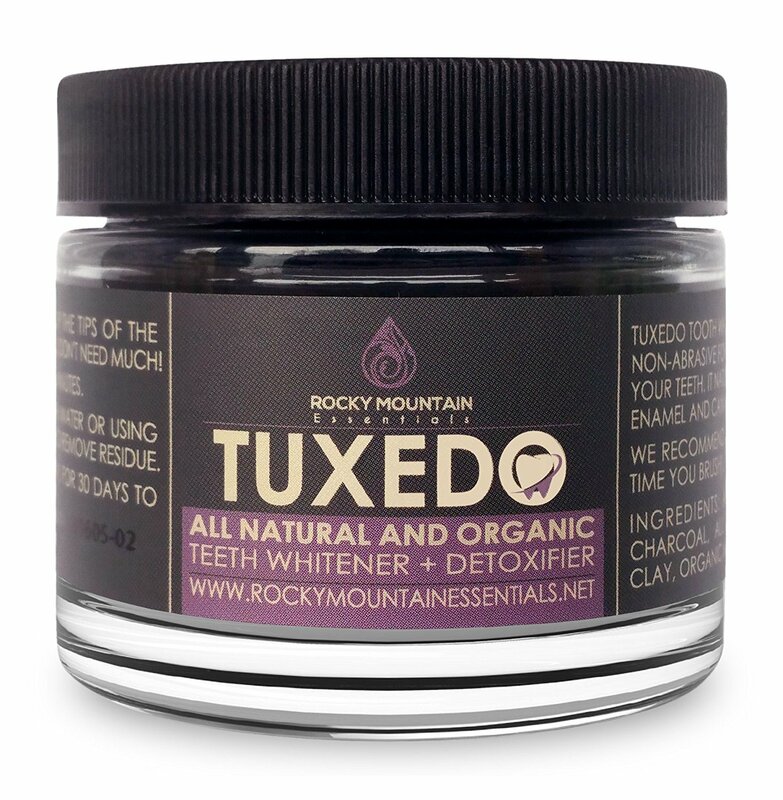 Tuxedo charcoal will whiten your teeth, clean and detoxify, reduce sensitivity and will strengthen enamel. That’s what Rocky Mountain Essentials say. It sounds like we finally found the best product for clean and healthy teeth. Tuxedo charcoal formula is free from any chemicals. And by saying any chemicals, I must say it is true. It contains only a few ingredients, and all of them are natural and organic. Activated Coconut Shell Charcoal is an essential element. Activated coconut charcoal is a spectral component that will clean and detoxify your teeth and body. This charcoal is created from coconut shells and that what makes this toothpaste amazing. Eastern medicine knows the health benefits of activated coconut shell charcoal for centuries. All Natural Calcium Bentonite Clay – Another big component that can bring your overall health to a new level. But in this powder, the main usage of Calcium Bentonite Clay is remineralization of teeth. Calcium Bentonite Clay contains lots or minerals that can help your teeth and your health. As well there are studies that Bentonite Clay may help you to detoxify your body from heavy metals. Organic Mint and Organic Orange Peel are here to give this powder an excellent taste and to give your mouth freshness. So not only will your teeth get better, but you can also have a fresh breath by using this remarkable toothpaste. You need to use it at least for 30 days. Best results are seen if you use it twice per day. You can use it without concerns because this product is really gentle and will not harm you in any way. You can use only this toothpaste formula, or you can use it before using your normal toothpaste. Make your toothbrush wet and then only push it in the jar to get some powder on it, then simply brush your teeth. After you are done with powder brushing (usually takes up to 2 minutes), then you need to clean remaining powder from your mouth and teeth by washing with water and using a toothbrush to remove all remaining powder. You don’t want to go out without washing off remaining powder because the powder is in black color and it may look weird on your teeth. 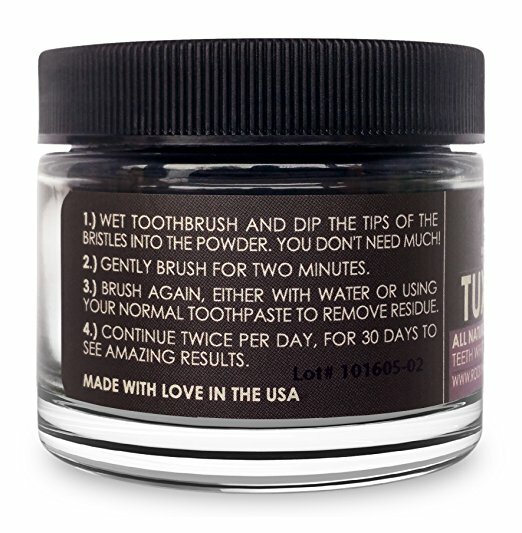 Tuxedo comes in 34-gram jar, and this package may hold you up to 2-3 months depending on how often you use it. This toothpaste is also vegan-friendly so you can use it without concerns that any animal got hurt. Toothpaste does not contain animal products, nor any animal was harmed or used in the process of making this fantastic product. Without any chemicals and no detergents, preservatives, artificial colors and flavors this toothpaste is the real deal. It gets the highest possible score. And to make things, even more, better, the company offers 100% money back guarantee if you are not satisfied with the product.